Pack once, check twice. There’s no nipping to the shops or grabbing that extra jumper in the wilds. Trust your gear, you can waste money on cheap equipment, and on expensive equipment too! Read reviews, ask others and where possible try gear out. This stuff can save your life and turn that freezing night into a toasty wild. Igbo out to remember. Know who your going with, understand their fears, limits and abilities. Individuals in a group without knowing are making team decisions and putting others at risk. Share your plans, with friends, parents and even leave a note on your car dash. It’s not fair on others to search, worry or wonder! Sharing is caring! And lastly, always carry that spare jacket, hat, gloves and socks! Of course his list is non exhaustive and different things matter to different people, but, don’t be concerned with building skills in camp sites, local woodland or even start with your back garden! It’s getting outside that’s inportant, adventure is about trying something new, learning and growing as a person because of it! Stay safe in the mountains, the most important thing you can carry outside is knowledge, make sure you’ve done some learning before you go! 2016, oh the memories! Some people say it’s not good to look back to see what’s gone, but taking a glimpse at what’s been helps us see how far we’ve come and what’s changed both for better or worse. So here’s what went down in 2016, let’s see how it shapes 2017 shall we? I popped my Richmond Park wild camp cherry on Jan 16th, and boy was it cold!! First sunrise of the year was a pretty incredible one too! Oh this is pretty epic, I spoke at The Telegraph outdoor show. This set the tone for the year! Wow, I forgot about some of this! 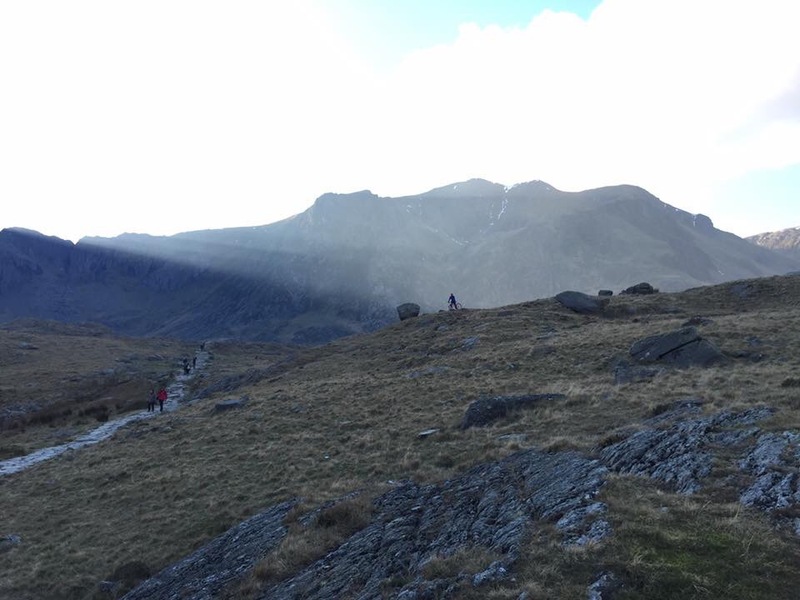 We went to Snowdonia for Llanberis Film Festival as we helped promote the festival through social media, got hosted by the lovely Jason Rawles and even got out briefly to the mountains too! The end of March saw Easter come around so we took a few days out to go cycling in Cheshire, and very randomly met two friends from London town in a tiny village 300 miles from home! I then got a little serious and took the boys for a canal adventure. It snowed, rained, we got frozen and Paul went for a swim! Strangely without being under the influence ….. Reading to Bath was an awesome journey, one I’d love to do in the summer! Well, I attempted to run across the widest part of the UK, Lands End to Lowestoft. Sadly seven days and 200 miles in I pulled my Achilles tendon. I took so many positives from this trip, I totally had my pack weight sorted and took utterly minimal clothing, this journey is going to be finished in 2017. The month of cycling, and topping up training for a team we then took on the three peaks in July. Training walks included Seven Sisters and a loop in the Chilterns, Wendover to be exact! With plenty of help from OS maps #GetOutside. 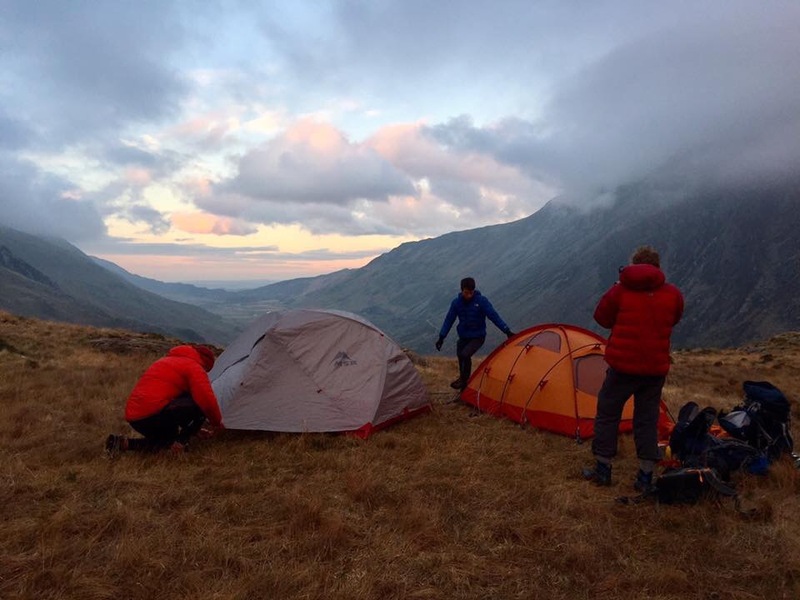 Three peaks weekend took up our time, our full team was three mini buses deep with 18 people, somehow we still managed to bring them over the line in the 24 hours.. Hold on! Before we flew out I laid down some speaking action at Tales of Adventure in London town. End of July, it was time for some feet up rest time! So, yeah of course we went to Corsica for a two week camping/beach holiday! This was such a well deserved break. Don’t get me wrong we still ran, kayaked and swam everyday, but, it was the lazy days in the heat, sitting at the beach shack with a cool beer watching the day unfold that made the holiday. It really reset ourselves, gave us time out to think and get our head straight as to what really matters to us, I hope you’ll see this come about over the coming months and years… Neither of us wanted to leave this place, I could happily go back to walk the formidable GR20 next time I think though. August, well what a treat! The cycling continued, I’d been hosting Tales of Adventure all year and it was about time we took it outdoors, which was an amazing evening! We got all adulty again for the bank holiday doing the full weekend party at Southwest Four festival. I tried a wetsuit on, It didn’t fit. 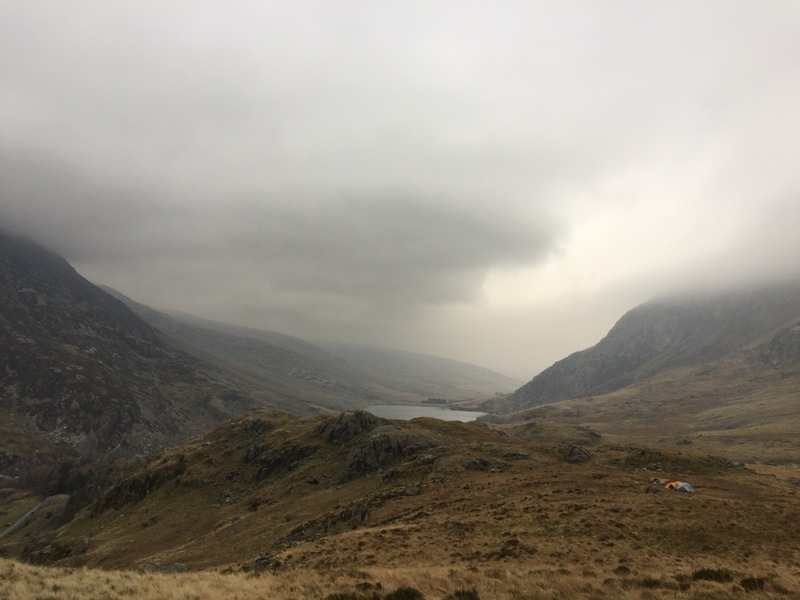 Tobias Mews became our personal camping equipment carrier and I presented The National Trust South West Outdoor Festival in Devon, it was amazing, simply awesome! We didn’t stay in these tents but it was an incredible valley to spend a weekend in, Thanks so much to The National Trust! Autumn’s now here and I tend to get move active when it cools down! We got our obligatory exploring the area walk in, met a local artist on route, ran a 10K, did some presenting and even got a ski show in too! What the photos don’t show is I spent lots of my time in the pool learning to swim, the bulk of my efforts in 2017 will be focused in this direction. We are supporting Crystal Ski for the 2017 season, so ended up at the Telegraph Ski & Snowboard show, which was awesome, I’m so excited to be hitting the slopes with them in 2017. We’ve been using their App to manage our payments and keep an update on the conditions on piste too! I took another step in the presenting & compere world and became the race MC for Cancer Research Tough Ten races, which I utterly loved but is really hard flipping work! Thank goodness it was only a 10K! You made it this far! Deep breath now just a few more photos and we’re into 2017! I started my speaking series with Ibex Earth and our first guest Kate Rawles who is currently cycling South America on a bamboo bike! Our venue The Library was a sell out – all 120 tickets sold, we’ll be repeating this is 2017 so watch this space! November felt quiet, planning and gathering ourselves for 2017 was in full swing. We did manage a long walk in Surrey and a days mountain biking in Swinley forest.. Our love of MTB is quickly over spilling as the year came to an end! Mountain biking and big sky & sunsets were the order of December, I’ve regressed 10 years and now have a MTB, I’m settling into my spiritual off road home again nicely too, the new Trek is a joy to ride and it’s going to see some adventure this coming year I promise you that! Looking back I thought I’d been really lazy and quiet this year but we’ve really settled into our new home right on the edge of Surrey, we took or first “beach holiday” I turned my hand to speaking and more importantly presenting & compering which is shaping up well for 2017. 2016 very much felt like a year focusing on us and doing what makes us happy; as you can see from the year, that’s being outside, preferably on bikes in the woods! The end of 2016 saw us team up with Ordnance Survey as #GetOutside champions so 2017 we’ll be doing just that and setting some challenges to inspire you all to #GetOutside to as many places as possible via multiple types of transport all over the UK, and to give you advice, hints & tips to do this safely. After all the best thing you can take on an adventure or journey is your knowledge & skills. Thanks for checking out the blog, I hope to share my adventures with you in 2017 and I hope you do the same with me. Lastly, I stumbled across this quote at an event a few months ago it was simple but profound, thanks for reading. Here’s to 2017.